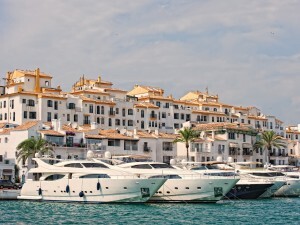 Marbella has been recognised by Conde Nast Traveller Publication as one of the most beautiful towns in Spain. And of course, we agree whole-heartedly. With 320+ days of sunshine each year it is certainly blessed with glorious weather, there are 70+ golf courses located across the coast, golden beaches and top-class beach clubs, plus a selection of michelin-starred restaurants. And Marbella doesn’t have to be as expensive as you think. It’s possible to live in one of the most sought-after neighbourhoods of Elviria, from only 189,900€ with a beautiful apartment – surrounded by golf. It’s proximity to the acclaimed Nikki Beach should also not be overlooked. Visit TheRetreatMarbella.com for more information. Málaga is also included within this fine collection of Spanish towns citing Picasso’s home as a cultural hotspot. Cervantes Theatre, flamenco and the beaches are listest amongst the top-see attractions.